Retention, or retaining, walls provide a practical means to make a difficult slope manageable and hold up some amount of soil and vegetation while lending landscape interest. Thoroughly planned and ably performed wall construction will help to ensure the retaining wall's stability. 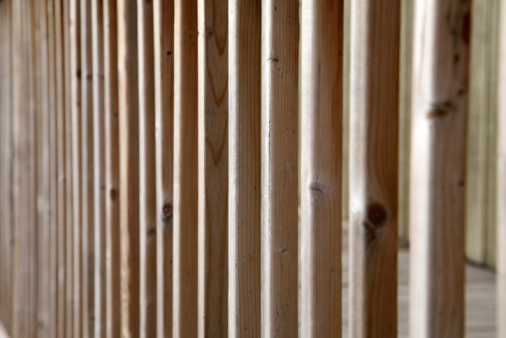 One key aspect of retaining wall construction is preparing a solid footing, or foundation. The footing is usually made of poured concrete but in some situations homeowners may instead opt to simply use tamped earth or a gravel base. A well-planned footing should provide lasting support for the retaining wall. Check local government ordinances. Often, retaining wall specifications are regulated. Walls planned to be more than 3 or 4 feet above ground level are commonly subject to these ordinances while smaller walls are exempt. Determine the planned wall's height and width. The footing dimensions will largely be determined by the size of the wall. A poured concrete footing for concrete, block or brick walls should be at least twice as wide as the planned wall. The footing should be at least as thick vertically as the wall's planned width. Take the frostline into account. The bottom of the footing should extend below the frostline to prevent damage caused by frost heave. Plan to bury some portion of the first layer or two of block or brick to ensure wall stability. The Oregon State University Extension Service recommends burying the bottom row 1 inch for every 8 inches of wall height.